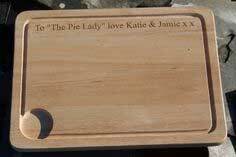 Wooden meat board is designed with a groove all the way round making it easy for the liquid to drain away. This lovely wooden meat board is designed with groove all the way round on it easy for the liquid to drain away too one of the corners. Very easy to clean, just wipe with a damp cloth. 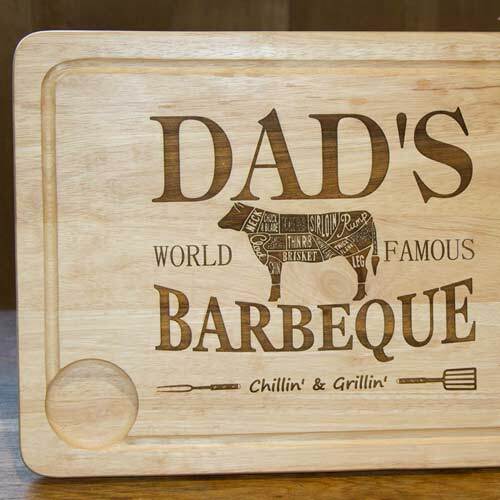 Size: 400 x 300mm, 40 characters are included in the price and the lettering can be engraved in one of our many fonts. You can also add one of our standard images - we have hundreds to choose from!